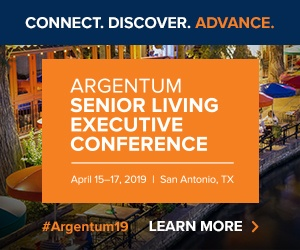 Conventional wisdom says that the progression of an older adult’s journey through the senior housing system usually begins at an independent living community, followed by moves to assisted living and skilled nursing as needs increase. But for some, the pathway into senior housing—such as an assisted living or independent living community—begins in skilled nursing, creating a reverse referral system of sorts for providers. These types of referrals are compelling some senior living providers, including industry giant Five Star Senior Living (Nasdaq: FVE), to maintain their skilled care offerings even in the face of industry challenges. And to maximize referrals—whether from a company’s own rehab population or from outside SNFs—senior living sales teams also need to develop specific playbooks. “Often, these seniors are in their own homes and they may have a fall or a medical issue that requires hospitalization [and are then] discharged to a short-term rehabilitation facilities for therapy and rehab,” Ross Sanders of commercial real estate firm CBRE National Senior Housing, explained to Senior Housing News. SNFs becoming a referral source for assisted living/independent living communities is not uncommon in the industry, according to Sanders, who serves as vice president of the Los Angeles-based firm. “[Post rehab], they see that they may not be able to live on their own any more, so they go to an assisted living facility,” he said. These care-continuum-in-reverse episodes are lucrative for senior housing providers, including Five Star. During the company’s third-quarter 2017 earnings call, CEO Bruce Mackey declared the company’s strategy in investing more in its continuing care retirement communities (CCRCs). “We believe there’s still value in our skilled nursing operations at our CCRCs, as they help drive business to our other private pay services provided at these communities,” Mackey said during the call. There’s a need to move fast when introducing the option of an assisted living or independent living community to patients upon completing their rehabilitative stay, according to Mary “Roxy” Mast, director of sales training at Five Star. “It really starts from day one, from the moment that that rehab individual enters your doors,” she told SHN. Making the sale relies heavily upon earning the patient’s trust. “If you can establish that trust and earn that trust because of the way that you operate—that you’re trustworthy and you want to maximize their independence and help them live that life that they want to live, then coming through that door is a great way to introduce people,” Mast said. Involving the individual’s family during the decision-making process is key, but addressing the individual’s life goals is also crucial, Mast added. In addition to these strategies, another sales tactic that Mast recommends is for providers to conduct therapy in an independent living/assisted living model room, to give the individual an idea of what the options are like. What has also worked at Five Star is inviting rehab patients back into the community for “rehab reunions,” which involve a small celebration with the individual’s therapy team. At Five Star, the company’s brand of rehabilitation services, called Ageility Physical Therapy Solutions, has helped the company in selling its brand of assisted/independent living to both internal and external prospective clients. “We do a lot of rehab for our competitors, for those who don’t have SNFs,” Mast said. Not all senior living providers are able to operate a skilled nursing service, according to Sanders. “It’s a very different animal; it’s different reimbursements and different regulatory environments so there are a number of folks that can cross both of those bridges and acuity levels at once … but what I’ve seen is the best providers solely focus on one or the other,” she said. For this reason, senior living providers must be vigilant in being a strong ally for SNFs in order to become a top-of-mind referral source, according to Mast. “You’ve got to be a resource for these skilled nursing facilities … These nursing homes [are] being asked to do more and more and meet more and more regulations with less resources, so we have to move from that resource status to trusted advisor status where they’re picking up the phone and calling you,” she said.